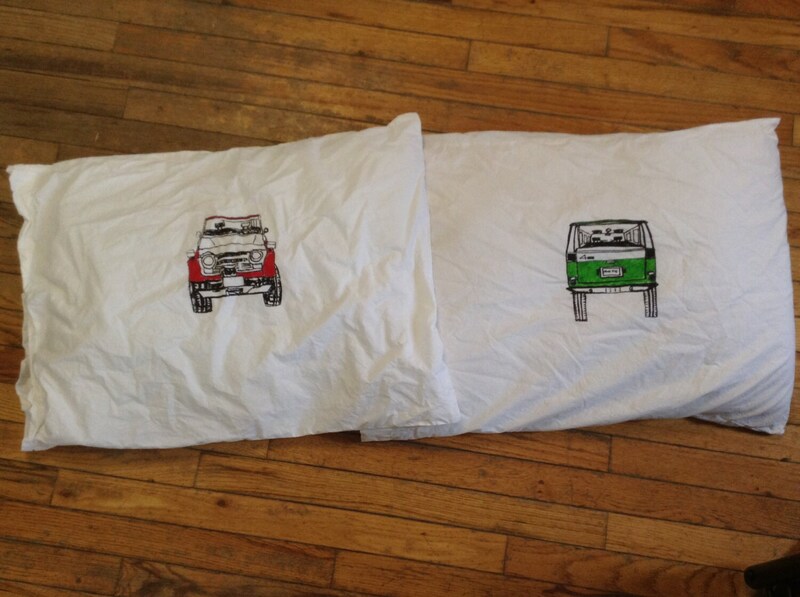 A set of two 55 series Land Cruiser pillow cases, the pillow cases are cotton, and fit pillows 20" x 28". 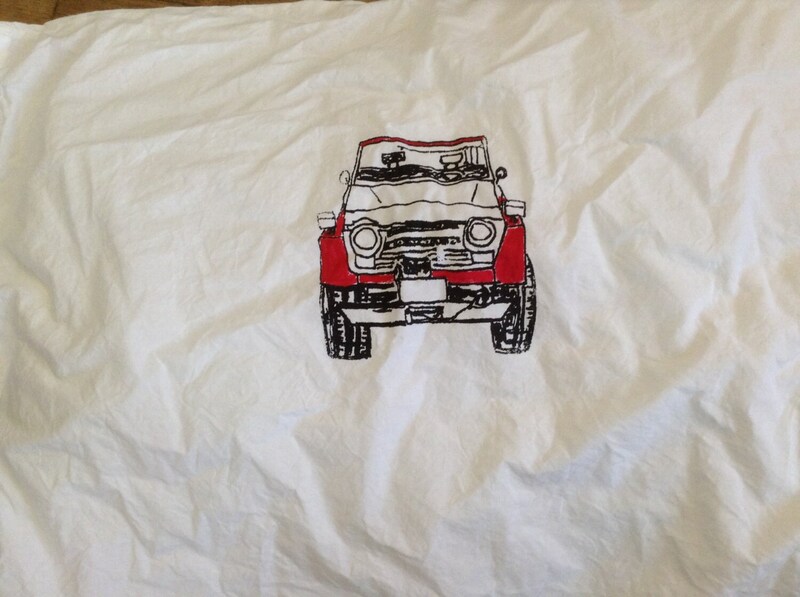 They are a 220 thread count pillow case, printed with water based ink the black is screen printed, and the Colors are hand tinted. 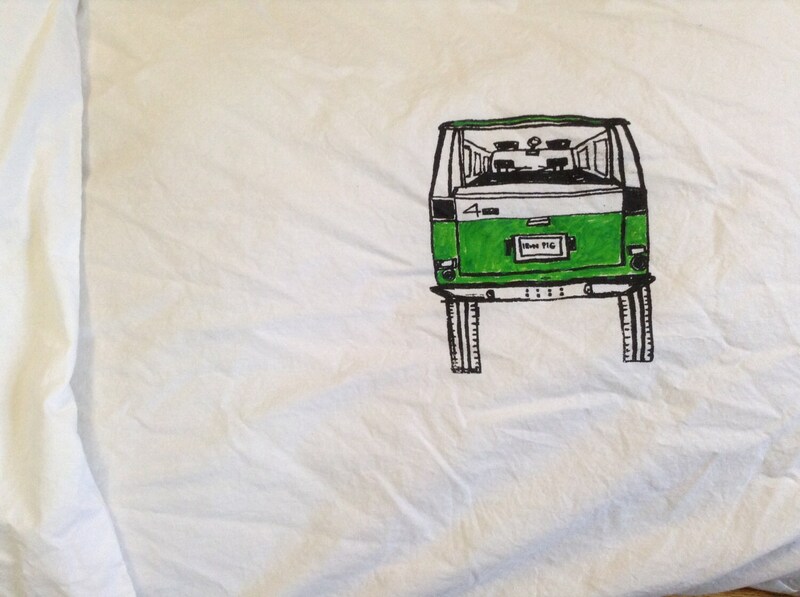 If you have a request for different colored 55, I would be happy to do that.